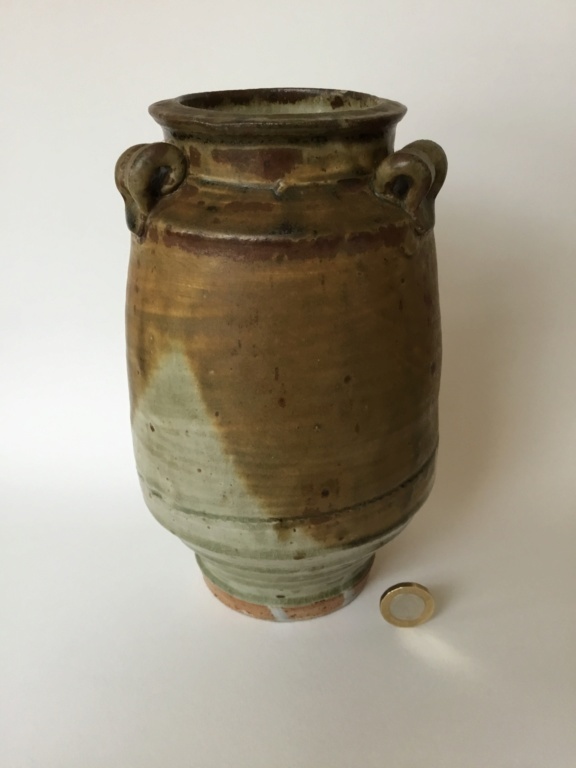 21 cm thrown vase, 3 lug handles, ash glaze with a mix of green, brown colours. Some rouletting patterning around body. Reminds me of Batterham but can’t find anything else like this. 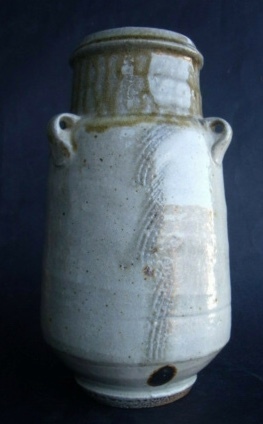 This Phil Rogers pot is very similar in lots of ways but not exactly and Phil Rogers is marked. Any ideas? Don't think its Richard Batterham. 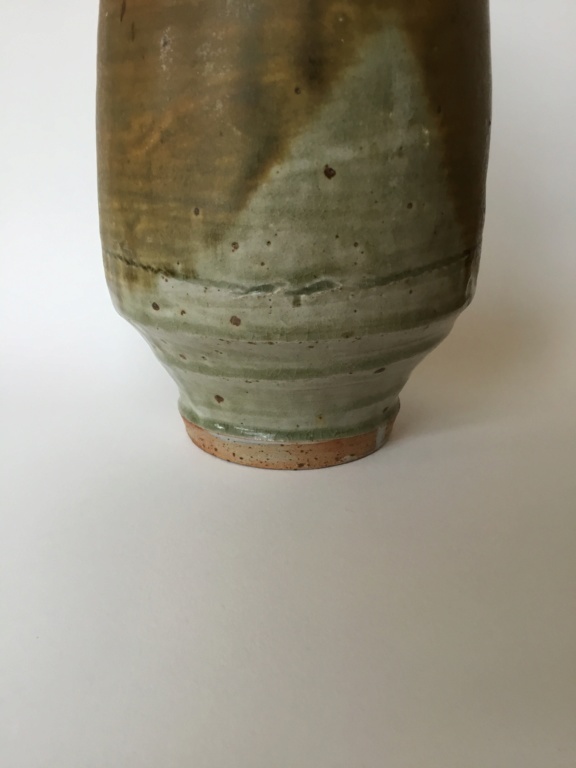 Generally the finish on Richard Batterham pots is immaculate. His quality control is superb. The finish on this one is just not good enough for a Batterham. 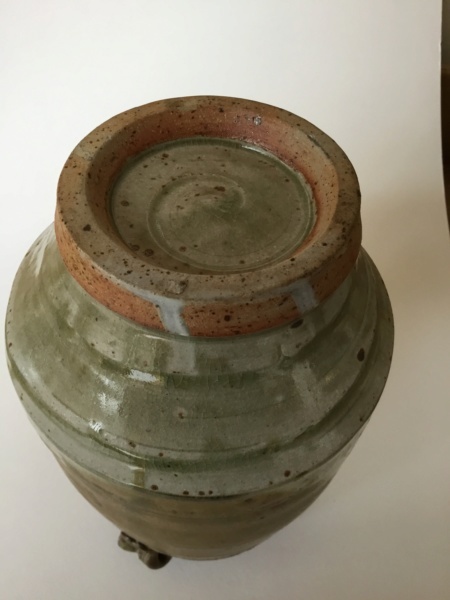 An unmarked pot is just a plain irritant. One keeps on thinking maybe this, maybe that. 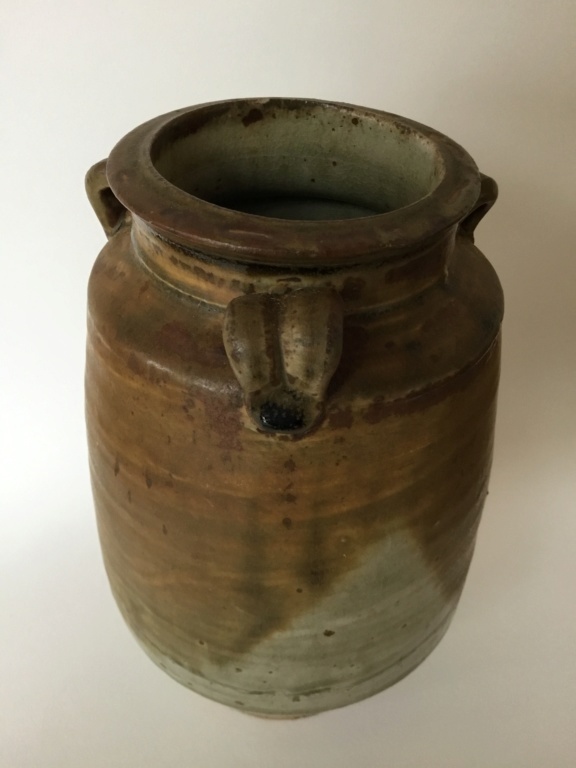 Truth to tell there was a whole generation of potters in the 60's and 70's all making Leach style pots. Lots of pots! Most of them are now literally forgotten, and they are the ones who used marks! The other person who comes to mind, before he got into ducks and chickens etc is Colin Kellam. Does look very similar. Best to ask Phil Rogers. Trouble is, even if it is his, if he doesn't like it he'll deny he made it.